Speakers talked about alternatives to grazing grass during the annual cow/calf college. Nebraska has the highest grass prices in the U.S., and producers are starting to look at grazing alternatives during the down cattle market to stay profitable. With the cattle market expected to maintain lower prices, at least through 2017, producers are putting a sharp pencil to the way they manage their cattle. Cattle management specialists from the University of Nebraska and the private sector were on hand to offer some management alternatives during the Farmers and Ranchers Cow/Calf College in Clay Center, Neb., last week. Kate Brooks, Ag Economist for the University of Nebraska, tells producers they can expect lower calf prices to continue through 2017, as supplies for all proteins continue to grow. Although cattle herd expansion has slowed considerably since market prices have declined, pork and chicken supplies are still growing. Despite some strength in steer prices towards the end of 2016, Beef Basis projects 550-pound steer calves to bring around $1.45 a pound this fall, and 600 pound steers at $1.41. Coupled with rising pasture rent costs, which have gone from $20 in 1991 to $60 in some areas of Nebraska in 2016, ranchers may have to make some tough decisions this year. With it becoming harder to stay in the black in cattle production, extension specialists with the University of Nebraska are starting to explore ways for cattle producers to get around paying high rent for hard grass. Mary Drewnowski, rumen nutritionist with the University of Nebraska, says more cattle producers in the state are looking at annual forages, crop residues and utilizing distillers grains rather than traditional grazing. “Ranchers are looking for alternatives because pasture rent is too high, and grass is getting harder to find,” she said. Some farmers are also finding with low grain prices, they can’t pencil out a profit, so they are looking at planting annual forages to graze. Annual forages can also be a way for ranchers to add numbers to their herd, and fill seasonal pasture and forage gaps, she said. This type of grazing can be available most any time of year. “What to use and when to plant depends upon your goals,” Drewnowski said. 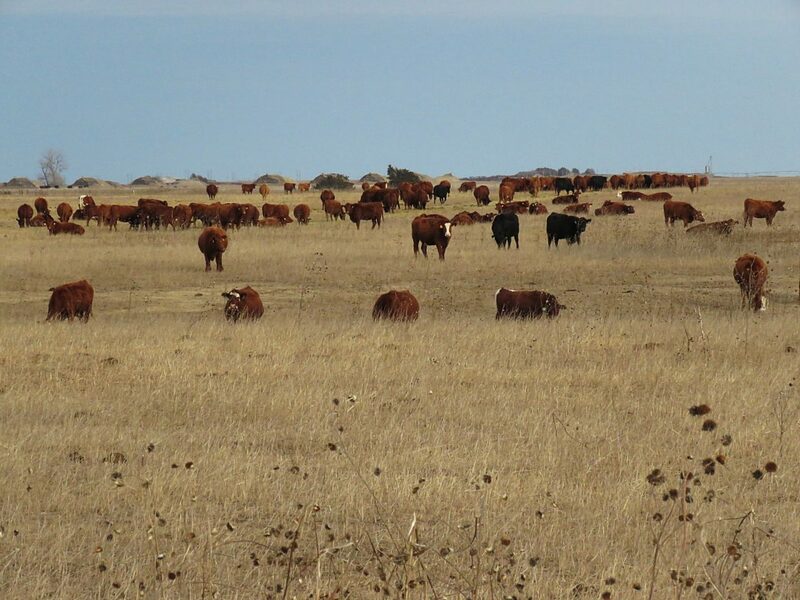 Winter sensitive and winter hardy varieties are available that can provide good yields and protein levels that can exceed what cattle obtain from hard grass grazing. Annuals like oats, spring triticale, spring barley, annual rye, spring field peas, turnips and rapeseed can be planted in March or in the fall. Winter hardy varieties like cereal rye, winter wheat, triticale and hairy vetch can be planted in September for spring grazing. Warm season annuals are also a good choice for grazing, she said. In many areas of Nebraska, grass rental rates average $55 to $65 a month per pair. That is equivalent to $92 a ton, assuming 1,200 pounds of air-dried forage. “I never thought I would be saying this, but is it possible to drylot a cow cheaper than grazing, based on $100 a ton for distillers and $80 a ton for alfalfa hay? That is why it is important to determine what your costs are,” he said. Kip Lukasiewicz with Sandhills Cattle Consultants, discussed acclimating and moving cattle safely and easily. He encouraged producers to focus on the animals that are natural leaders in the herd. “The leaders are not the cattle walking away, but the ones facing you with their eyes locked onto you,” he said. Ranchers should work with the cattle in front when moving them, rather than pushing them from behind. “If the cows are skittish, don’t be afraid to get off your horse and walk slowly through them. Be willing to prove to them that you understand them. They already see you as a predator,” he said.